MOSCOW (Sputnik) - Russia supports UN Global Compact for Migration as it believes that the document could open door to elaborating a common stance on migration, Russian Ambassador to Morocco Valerian Shuvaev told Sputnik. Shuvaev voiced his belief that migration had become a serious international problem that could be resolved only via joint effort of all countries involved. "Russia supports the approval of the document, which happened at the conference in Marrakesh, because we believe… that this document opens new horizons for discussion and studying of this problem, and for elaborating universal approaches of all the states, as now opinions of different states are unlike," Shuvaev said. 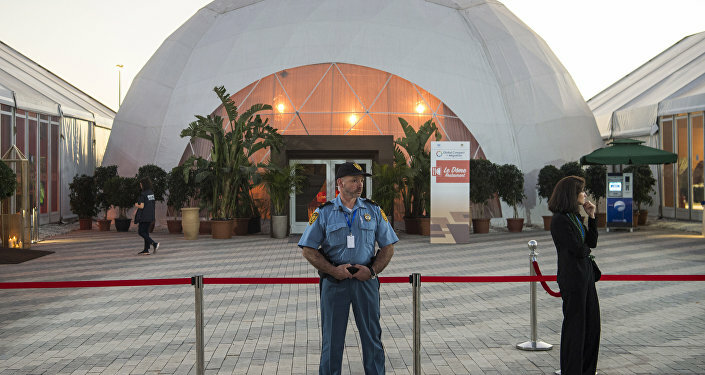 On Monday, representatives from 164 countries adopted the Global Compact for Safe, Orderly and Regular Migration at a conference held in the Moroccan city of Marrakesh. Shuvaev headed the Russian delegation at the conference. The document comprises 23 objectives for better managing migration at local, national, regional, and global levels. It represents international community's attempt to establish a global common approach to all aspects of international migration. The pact has triggered division amid currently tough migration situation, with a number of states declining the document, and a counter-pact rally scheduled to take place in Brussels on Sunday.